Ken is an Independent Life/Health/Medicare Insurance Broker offering insurance options best suited for his clients' needs and wants... Insurance experience includes agent, field and home office senior management during a career covering more than fifty (50) years. Ken is a Chartered Life Underwriter (CLU), and a Life Management Institute, Fellow with a specialty in Life Insurance Company Investments. 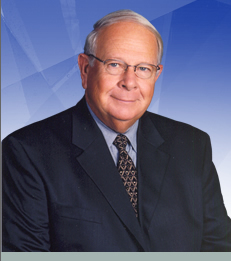 Kenneth L. Smith CLU, FLMI Insurance Services launched in October 1983, and has grown and prospered in part thanks to its affiliation with and support from the St Johns County Chamber of Commerce...Ken was honored as the Chamber's Member of the Year in 1997.